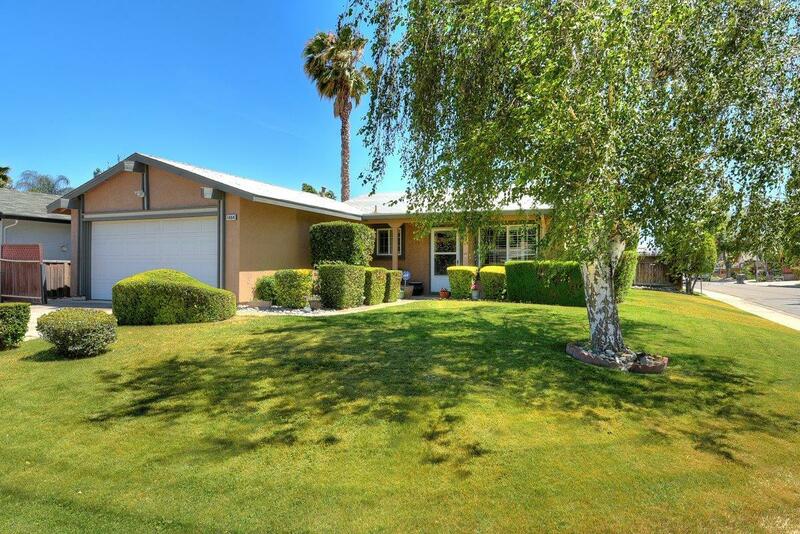 Beautifully updated 3 bedroom 2 bath home in a great neighborhood! You will fall in love with the remodeled kitchen w/ Silestone counters, cherry cabinets & stainless steel appliances. Cozy living room w/fireplace. Newer dual paned windows & air conditioning to keep you cool & comfortable all summer long! Plantation shutters & laminate flooring. The backyard is perfect with large covered patio for relaxing or entertaining & beautiful landscaping. Walk to schools, parks & sports club. A 10! !